Because of its updated and comfortable style, this Sunset Trail Super Lite travel trailer is the perfect addition to your family's next road trip. 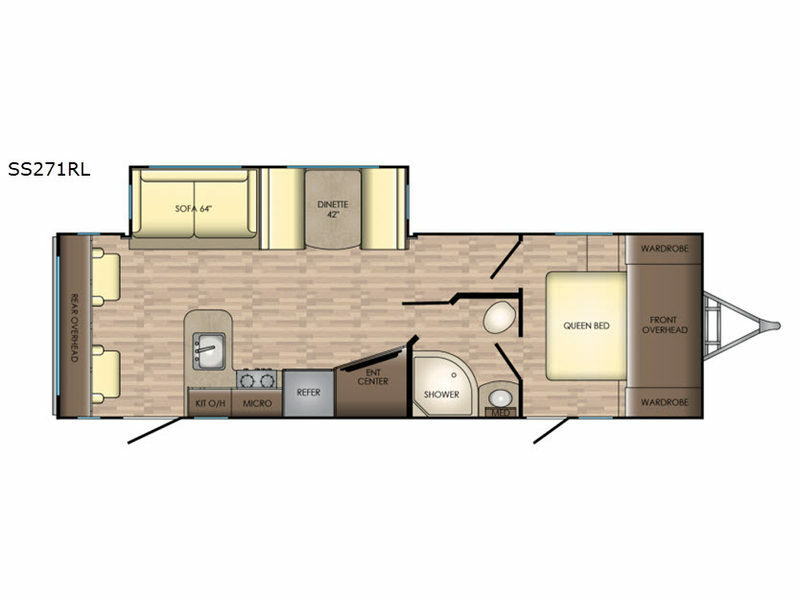 With a large bedroom wardrobe and an exterior pass-through storage area with motion-activated LED lights, this trailer gives you the ability to bring along all of your luggage needs, and with enough room to sleep five people, it also gives you the ability to bring along all of your family. The front, private bedroom has been turned into a luxury escape because of its own bathroom and exterior entrances. The exterior of this CrossRoads travel trailer is completely sleek and modern looking with its tinted windows that help protect your interior decor from fading and its painted fiberglass front cap that curves over to the roof giving this model a more aerodynamic approach. 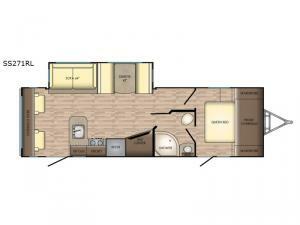 However, you will enjoy spending your evenings outside of this trailer for more reasons than just the appealing exterior vibe because this model comes equipped with an electric awning with LED lights, as well as outdoor speakers which make this area the perfect place to host a late-night get together with friends.